The internet is connecting us – across the street or across the planet. Mankind is more connected today in more ways than ever before. That means if you have a business, a message, or a cause to promote, you need a website. If you’re trying to reach people, those people are waiting for you — even looking for you — online. As you might imagine, being the guy behind Ask Leo!, friends and family come to me when they have computer questions. “How should I set up my website?” is a pretty common one. What’s not as common, yet perhaps just as important, is what happens after that website’s been set up. Ask Leo! On Business outlines a strategy for creating a professional website that elicits engagement and trust, as well as a strategy to leverage it so you, too, can make the world a better place by adding value to others. Ask Leo! 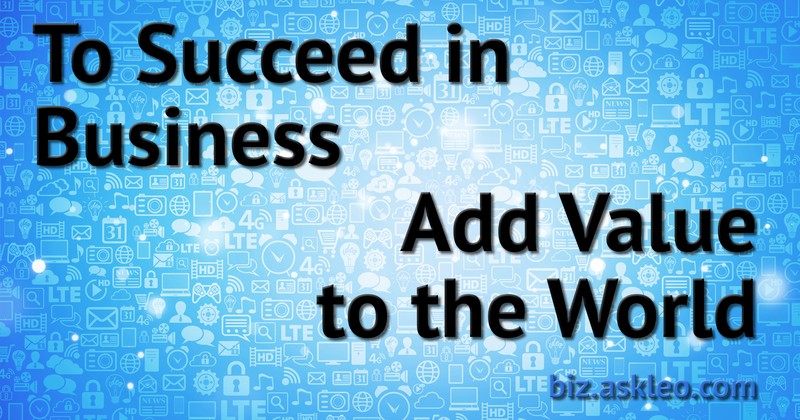 On Business will help you succeed in your endeavor, whatever that might be.